At times I was frustrated with the naivete of Hannah and Christopher. They seemed to make wrong choices time after time. I couldn't understand why Hannah didn't take the baby and move in with her mother or sister. Overall, it was an interesting book with several disturbing moments. Great performances by the narrators. I really enjoy the Tracy Crosswhite series and was hesitant to read this but wow! 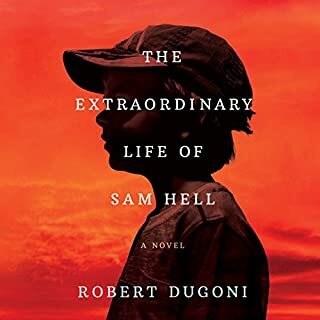 This starts off with Sam Hill as a child and takes you through his many challenges to adulthood. It's a wonderful lesson on empathy and does remind me of Owen Meany's lesson that the late, great John Irving created. A must read! What disappointed you about The Trespasser? After anxiously awaiting the new Tana French Dublin Murder Squad book, I was so let down! It seemed this one just dragged on and on. Unlike some listeners, I had no problem with the narrator, though my favorite is the narrator of The Likeness. The story didn't take on life until the last 30 minutes. 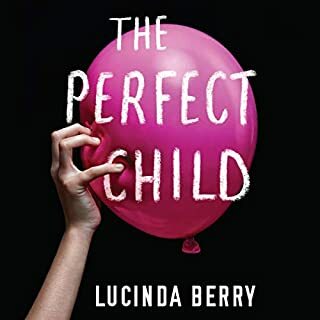 I didn't feel the suspense of the other Dublin Murder Squad series and found my mind wandering during this listen. The other books in the series had me so rapt in attention that I wasn't able to do anything else but listen. This book is a good listen if you have things to do and just need background noise - or to lull one to sleep. What does Hilda Fay bring to the story that you wouldn’t experience if you just read the book? I did enjoy how she read each character but still not as strong a narrator as Heather O'Neill. As I said above, the last 30 minutes but that was all. 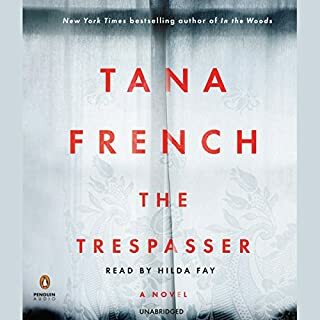 Still looking forward to Tana French's new one and hoping she'll redeem herself and put more effort into the Murder Squad. Or maybe not try too much and let it flow as in her early works.